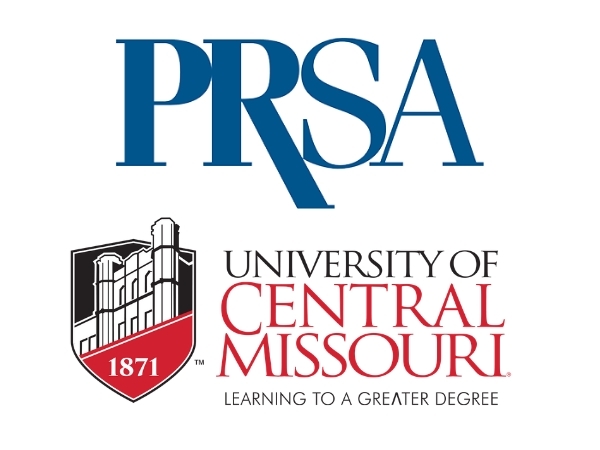 NEW YORK, April 10, 2019 – PRSA, the nation’s leading professional organization serving the communications community, announced today that the University of Central Missouri (UCM) Harmon College of Business and Professional Studies has joined PRSA’s MBA/Business School Program. Beginning this summer, UCM will offer access to PRSA’s strategic communications course as part of its MBA curriculum. Grounded in reputation management fundamentals, the course will help students gain an understanding of corporate communications (internal and external), integrated marketing communications, investor relations, corporate social responsibility (CSR), government relations and crisis communications. “This program helps students develop skills in strategic communications and reputation management–delivering a critical management function and a distinct advantage when these students enter the workplace,” said Ginger Killian, Associate Dean of the Harmon College of Business and Professional Studies at the University of Central Missouri. The Harmon College course will be offered online and taught by Adam E. Horn, professor of public relations at UCM. Horn has more than 20 years of professional industry experience as a public relations strategist and crisis communications specialist. He has also dedicated nearly two decades to higher education and training the next generation of public relations strategists. The PRSA MBA/Business School Program was launched in 2013 and was developed by leading business schools including the Tuck School of Business at Dartmouth in collaboration with PRSA. The course is part of the curriculum at more than a dozen schools and universities across the country. To best meet the needs of each business school’s MBA program, the PRSA turnkey course is offered in full semester, mini-mester or seminar formats. Schools interested in the course can obtain information through the PRSA website. Established in 1871, the University of Central Missouri is dedicated to providing a quality, affordable higher education where students can experience learning to a greater degree through engaged learning future-focused academics, a culture of service, and a worldly perspective. Committed to student success, UCM offers more than 150 academic degree programs delivered via traditional classroom and online experiences within four academic colleges: the Harmon College of Business and Professional Studies; College of Arts, Humanities, and Social Sciences; College of Education; and College of Health, Science and Technology. The university’s main campus is located in Warrensburg, Mo., which attracts students from across the United States and globally. It serves education needs in greater Kansas City through UCM-Lee’s Summit, which is part of the state-of-the-art, nationally known Missouri Innovation Campus. The Public Relations Society of America (PRSA) is the nation’s leading professional organization serving the communications community. Founded in 1948, PRSA is the principal advocate for industry excellence and ethical conduct and provides members lifelong learning opportunities and leading-edge resources to enhance professional connections and support them at every stage of their career. With more than 30,000 members, PRSA is collectively represented in all 50 states by 111 Chapters and 14 Professional Interest Sections, and on nearly 375 college and university campuses through its student organization, the Public Relations Student Society of America (PRSSA). For more information, please visit www.prsa.org. Sign up to receive PRSA news updates via email.